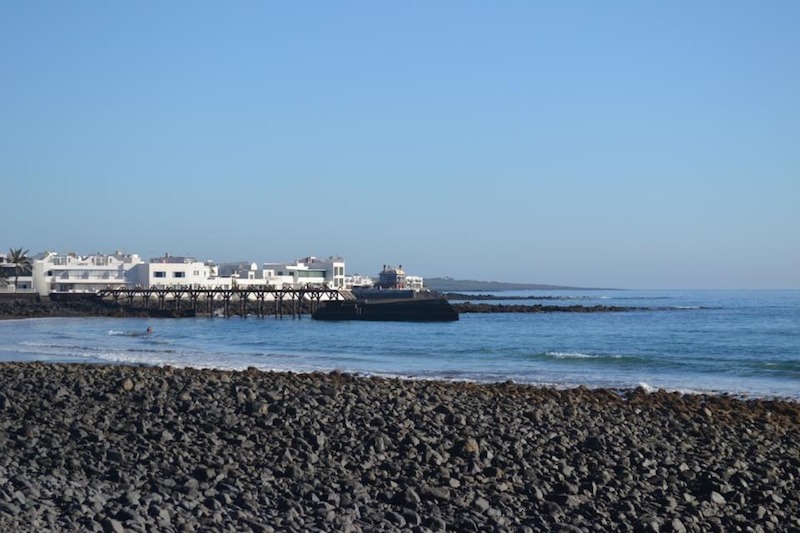 This is a beautiful Lanzarote walk along the coast line from the quiet naturist village of Charco del Palo to the popular beach of Arrieta. It’s not a strenuous walk, there aren’t lots of hills to climb but you do need to wear good footwear and keep an eye on the terrain underfoot. 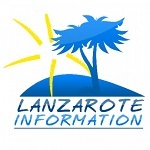 I would suggest that you are dropped off at Charco del Palo so that you just walk one way although with a break at Arrieta beach it would be comfortable to walk back too. When you reach Charco del Palo, take the left hand road signposted towards the restaurant Romantica, when the road bends back around to the right and the sea front, there is a dirt track in front of you, this is the start of the walk. The first section of the walk is on a wide track, we didn’t see any traffic but if you have dogs with you, be aware that a cyclist, quad or car may appear. We were lucky to see a flock of Hubara birds between the track and the coast when we did the walk, these are a protected species and only found on the islands of Lanzarote and Fuerteventura. The day we chose to walk the coast, the sea was lovely and calm and there were a few lone fishermen taking advantage, its normal for the waves to pound the rocky coastline in this area of the island and its not uncommon to see dried pools of salt crystals and cuttle fish along the path. Looking over to your left, you can see the windmills of the Parque Eólico at Los Valles and Lanzarote’s only dam situated above Mala. As you walk further towards Arrieta the track becomes more sandy, its quite deep in places with interesting tracks imprinted. Once you reach level with the town of Mala the wide tracks disappear and there are a choice of worn footpaths to follow, some take the edge of the cliffs and others follow the coast but at a distance from the edge, entirely your choice as which route to take, depending on how adventurous you feel and the waves breaking on the day! We discovered a small stony beach hidden away but obviously used as there was a walled area with a BBQ! This was about the half way point of our walk and I was very tempted to get in the water and cool off, it was a warm day but the lure of a lengthy swim off a sandy beach was too much and we continued. Our goal was now in sight, the lovely beach of Arrieta with not just one, but two tapas bars to chose from, I couldn’t wait to take off my shoes and walk along the water’s edge of the beach and take a slurp of a lovely ice cold cerveza! A beautiful villa situated in the lush gardens of Casas Del Sol, the best tourist complex in Playa Blanca!